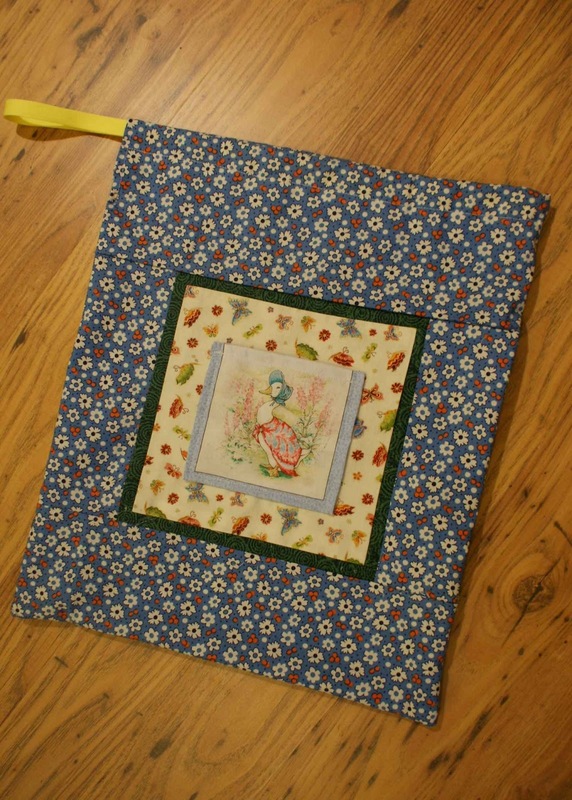 Welcome back to the final part of the sewing project Dancing Shoes Bag. 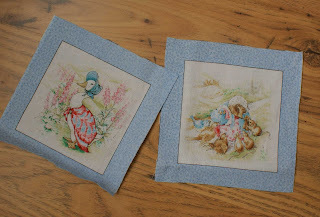 This project is great for beginners who are learning to sew. 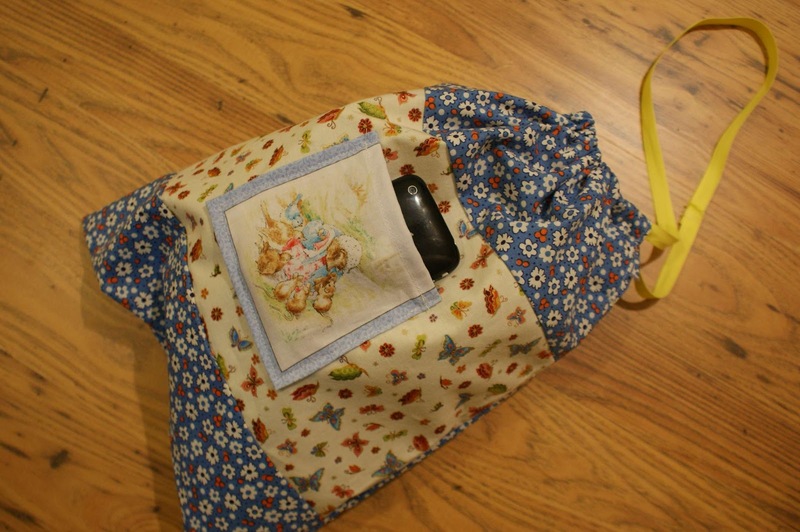 Or you can use this project to keep your kids busy and entertained for a few hours; however they will need your help and supervision when making this bag. 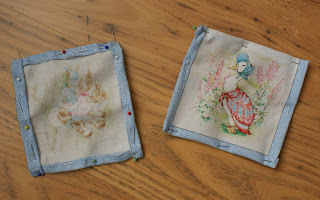 If you are already well experienced and have done a lot of sewing already maybe you will like this project simply as an idea on what to do next or to create something that you could give as a present to your little girl who loves dancing and needs something to carry her shoes in. Or of course you can use different materials and make it a bag for your boy to carry his stuff in. Once again, here are pictures of this easy sewing project in its finished state. Previously, I described where I got the idea for this sewing project from, even though I was not the one who actually made it. 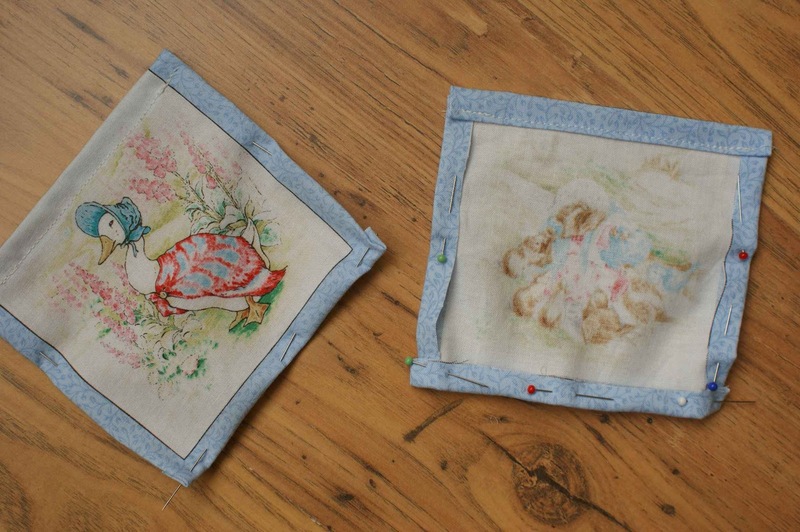 It was made by my friend's 11 year old daughter Emma, who let me advise her and check that she was doing well. 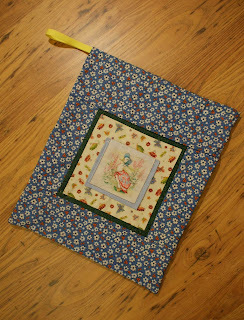 Not only she did all the sewing by herself but it was all done and completed in 1 day. 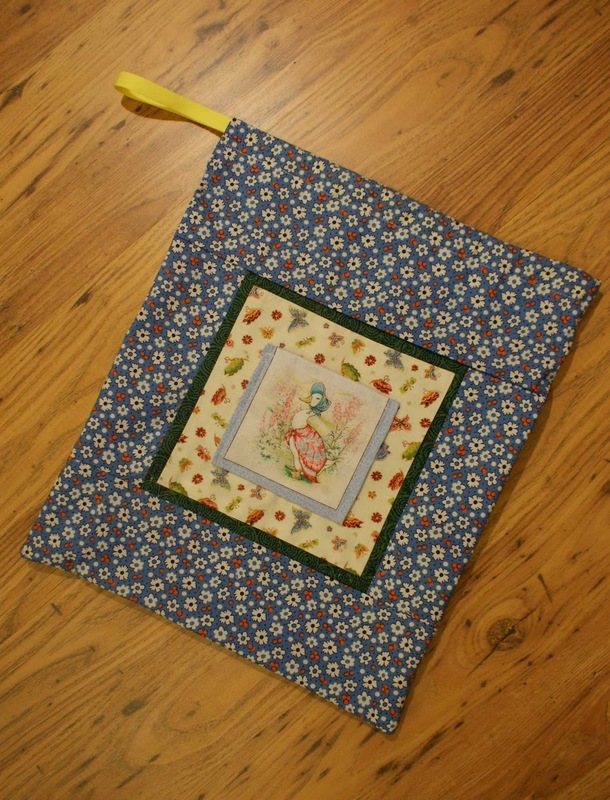 This bag is really quick and easy to sew and very rewarding for the child. 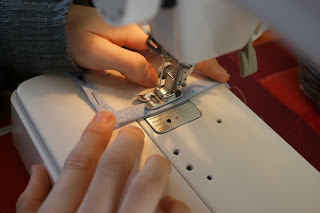 The templates for this sewing project, the list of materials that you will require and the relevant measurements for all of the parts are shown in the previous blog - part 2. In this final part, I am going to share the step by step pictorial instructions with you so that even if you are a beginner you should have no difficulties in making this bag. 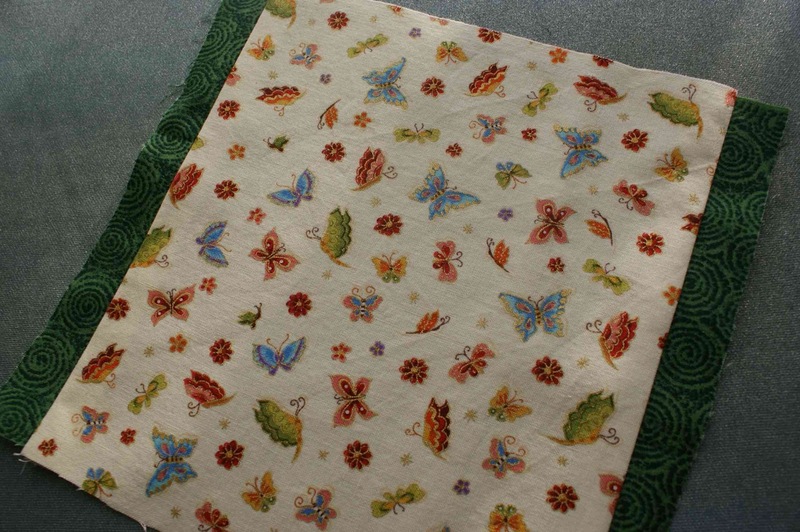 A little note: when using the machine to sew, always sew 1 cm in from the edge of your material. 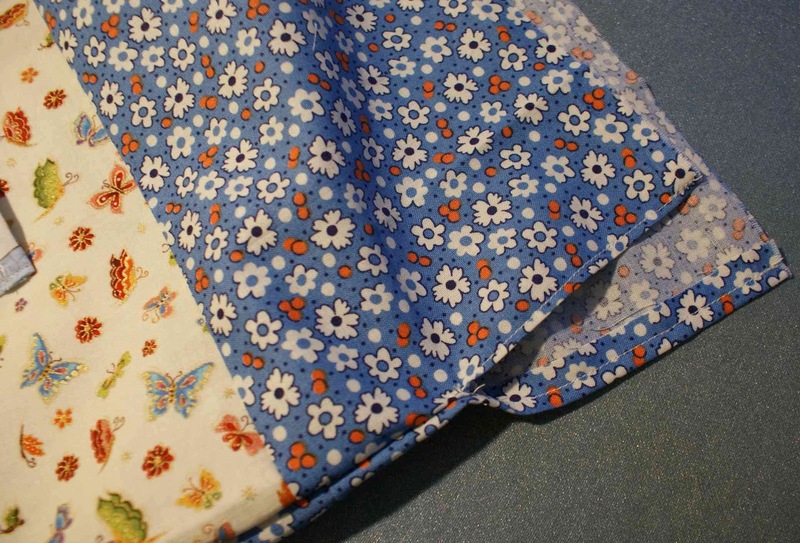 This is called a 1cm seam allowance. After every sewing run, make sure you press the sewn seam flat with your iron in order to make the stitched line flat. 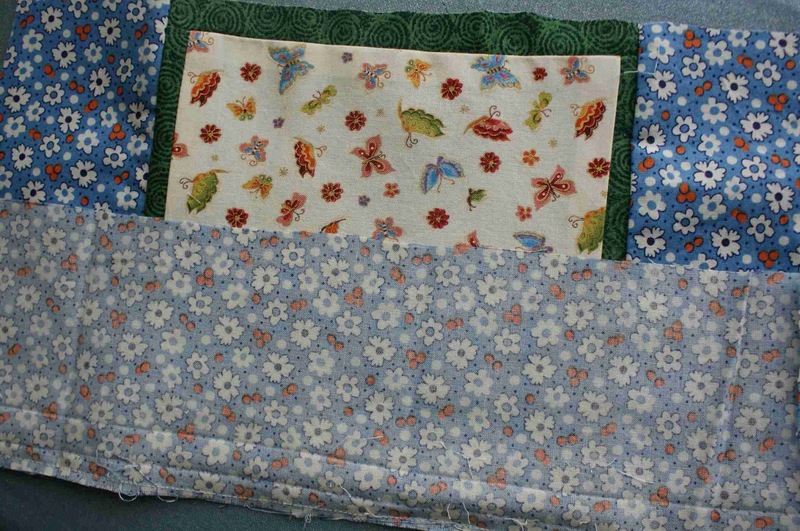 This will make the next sewing step that much easier and more accurate. Cut all the materials to size as instructed in the sewing project - part 2. 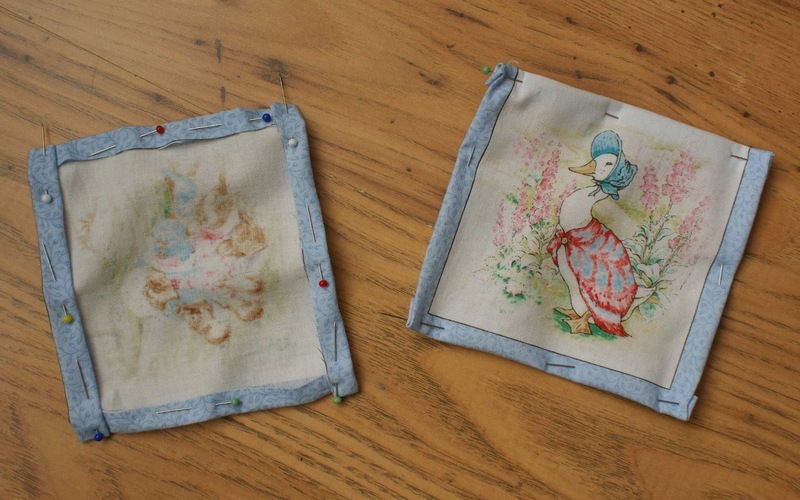 These are the decorative pockets that will be stitched onto the front and back of the bag. 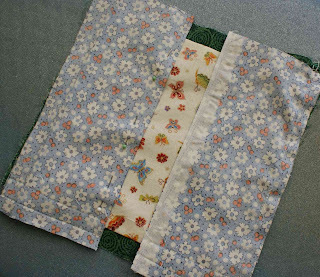 Cut 2 small pieces of material to make pockets. 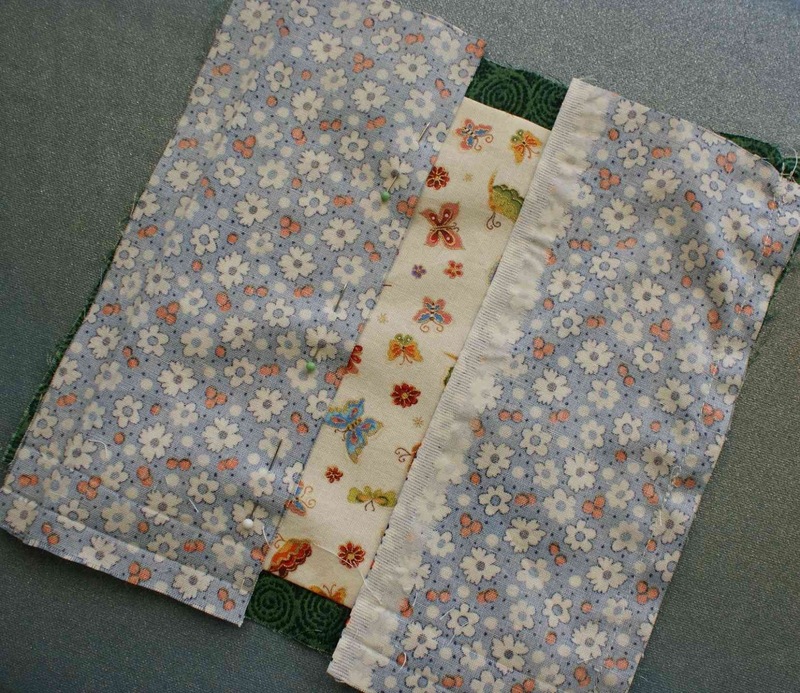 The top edge (shown on the left ) has its 1cm seam folded over and is sewn up 1cm from the same top edge, providing a clean top edge of the pocket. The picture on the right shows the reverse side view of the pocket - see the sewn edge at the top. You have already cut all the pieces of the materials as described in the part 2 of this sewing project. 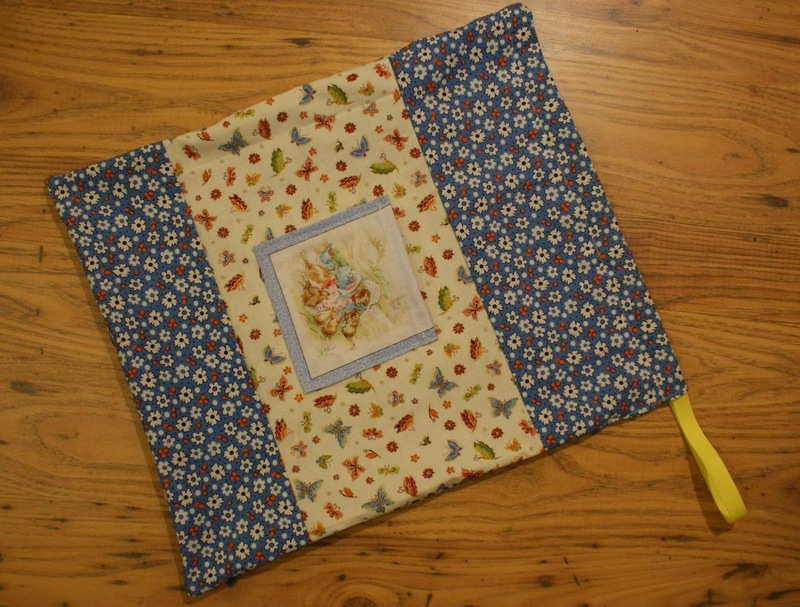 secure with pins 36 x 11cm piece of blue material to the bottom as shown on the picture and sew along the edge taking 1cm seam allowance - do the same with the 36 x 16cm piece of the blue material attaching it to the top (36cm is the width) - and then iron flat. Sew one of the pockets on to the butterfly material to the centre (sew as close to the edge of the pocket as possible) and the front of the bag is done. 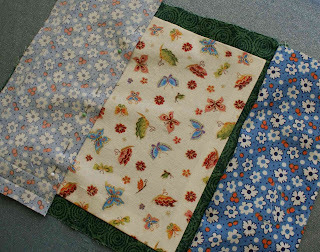 This part is very easy - just sew the 3 cut pieces of materials together. 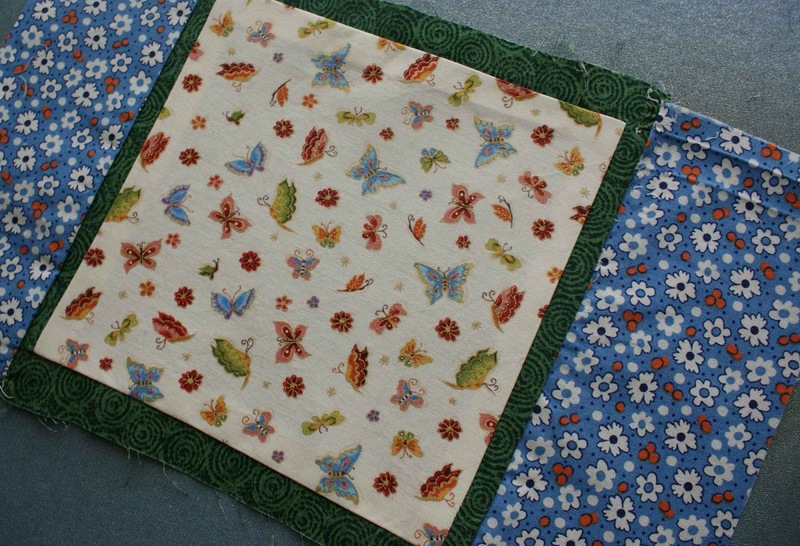 The 36 x 12 cm piece of the blue material is at the bottom and the 36 x 17 cm piece of the blue material is at the top of the butterfly centre material. 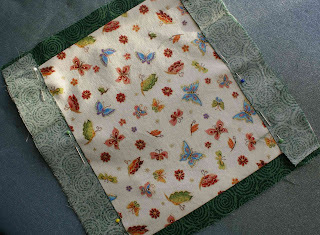 Then again iron flat and sew the other pocket on to the centre of the butterfly material. 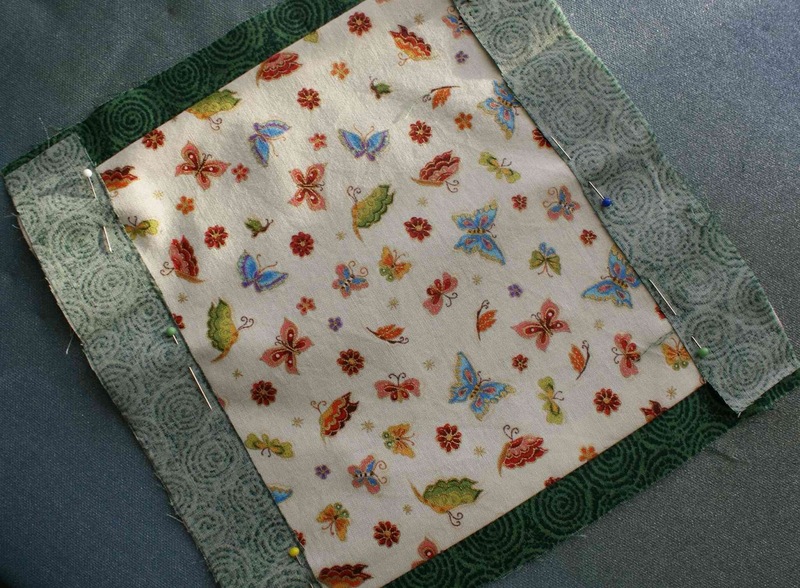 When sewing the pocket onto the butterfly material try to ensure that you are making the seam as close to the edge of the pocket piece as possible. 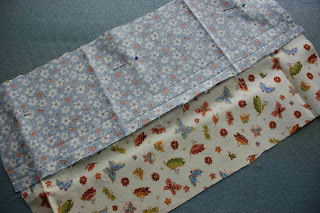 Put the 2 parts of the bag (front and the back) the right sides together and secure them with pins. 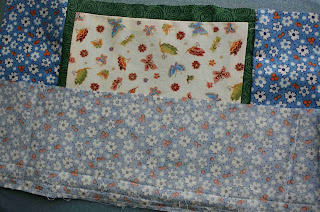 Sew together left, bottom and right. 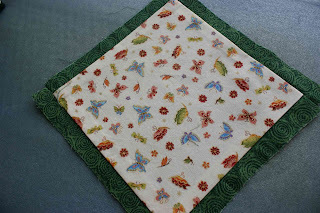 Do not sew along the whole length of the right side but stop about 7 from the top end. Fold the 2 unstitched edges in and sew to prevent fraying. 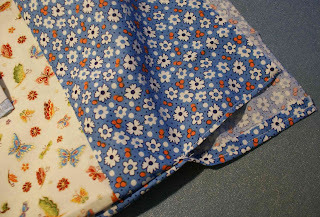 And at least, fold the top edge of the bag 2.5 cm in and sew 2 cm from the edge. This will create an opening for your string. 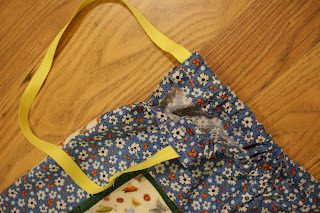 Then, using a safety pin, pull the string through the opening at the top edge of the bag. Sew the two ends of the string together and the bag is done. 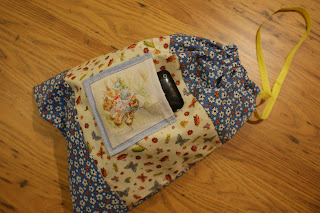 I really hope that you enjoyed sewing this bag and will get a lot of use out of it.